The nominations for the 2013 JUNO Awards have been announced. There is a wide range of nominees, but I definitely have my favorites. At this point I haven't put on my 'who will win' hat, just 'who I want to win' hat. If these people win, I will be elated (on the inside, outer signs of joy are not really my thing). Close category. I am also routing for Serena Ryder. Lovely girl. Can we give this kid some love already? You may have hated Blurred Lines, but it was one of the biggest songs of 2013. LOVE these guys. Tareya Green is a hometown girl an a major talent. We have to continue loving one of our best exports. If you haven't heard, definitely listen. The album is called Crop Circles...you don't get much more country than that. Is there any question. (Not so secretly routing for Rah Rah). He should totally thank Alan for being his dad. And he will. They won breakthrough group last year. Let the trend continue. SOUL DECISION, don't even tell me you aren't pumped that Trevor has a new gig. There are more categories and more nominees. For a full list click here. 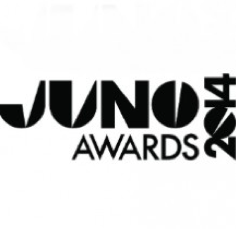 The JUNO Awards will air on March 30, 2014 live from Winnipeg, MB on CTV.